On last part of the last post, we have covered some of the part of Shibuya, such as the Shibuya crossing, Shibuya 109, the area around PARCO, and many more. 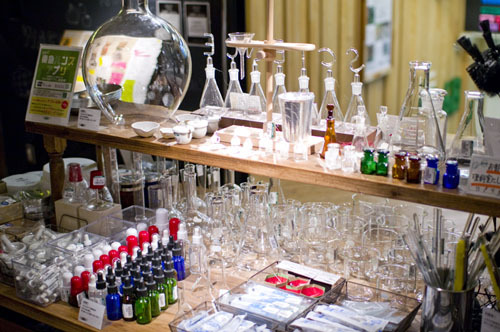 Now, let’s leave the area around PARCO department stores and go to the next area. If you choose to walk to the west side from the front side of PARCO 1, you would be ended up in a bigger street where there is a giant building named BEAM building. At the time I was there, there was nothing inside the main door of this BEAM building and it is closed. However, there is somewhere that you should check it out inside the small door, located on the left side of the front side of BEAM building, if you happen to be a fan of Japanese anime or manga. It is your haven folks! It is Mandarake! 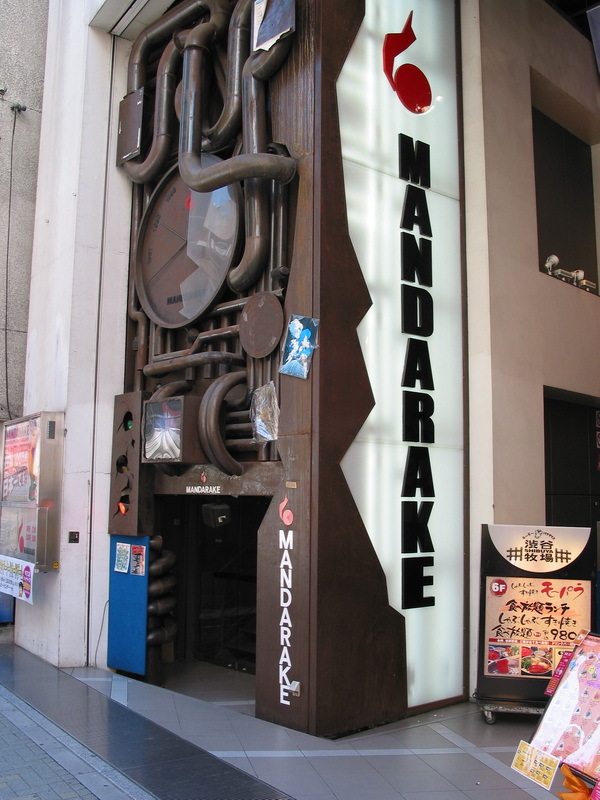 The name of this place is Mandarake and it is the haven for you guys who love the Japanese anime and manga! This place boasts monstrous number of manga, anime, soundtrack CDs, DVDs, game CDs, action figures, posters, and all of the other stuffs for the anime and manga lover would ever want. The design of the building itself is pretty unique, from the door just like on the picture above, you would enter a small and dim lighted room where there are about 3 stories long stairs down. On the your way down, maybe you would also find some of the newest gatcha machines that offer you some small version toys of your favorite anime or manga characters. 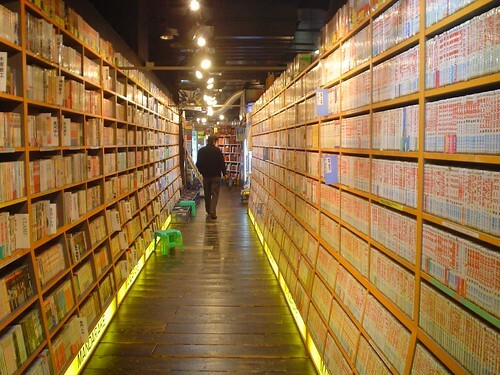 After you walked down those stairs, you would arrive in a wide room where you wouldn’t see anything else beside lots of giant size bookshelves filled with thousand, or even million, of mangas. Prepare yourself to enter the anime and manga world! Blimey! That’s a Gundam’s Char Aznable figure inside that display!!! Ok then, I guess it is enough for Mandarake and let’s get going to the next place. Not far from Mandarake, if you walk to the north you would find there is a big store on the right side of yours which have green hands logo. 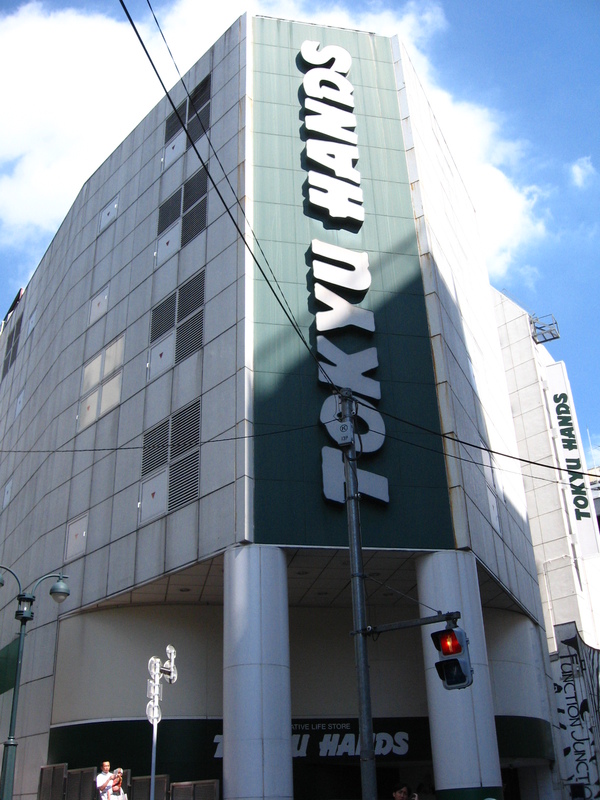 The name of the store is Tokyu Hands. That’s all for Tokyu Hands and now we’re going to the last place that would be covered in this post. The last place that we’re going to go is Ragtag! For those who are fashionista, Ragtag should be put on the top of your destination list in Shibuya as this place sells the second-hand fashion goods, means that those clothes that are sold in this store have far cheaper price from the original price! The brands that are available in here ranging from the street brands, such as Supreme and Bathing Ape, casual Japanese brands, such as Beauty and Youth and BEAMS, even the top-rated high-end brands, like Louis Vuitton and Gucci. Shopping in this store, you don’t have to worry about the condition of the goods even though they are second-hand items since this store only sell the goods that are still in a good condition. They will let us know if they are any damaged spot, even to the smallest detail. Finally, this is end of the Shibuya posts series. Too bad since, unfortunately,there are still lots of place that haven’t been covered in just 4 long posts. 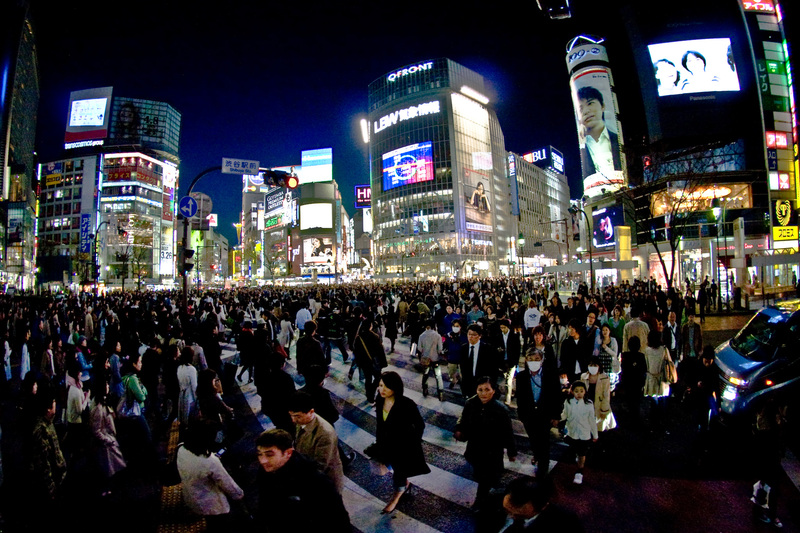 I hope this 4 long posts about Shibuya could help you later when you are going to Shibuya for holiday or make you want to go to explore this place. Shibuya is a really nice place to go hang out alone, with your partner, or even with your friends, in the day time or even in the night-time. Just want you guys to know that I’m already missing to be in this area again when I was making this post, yet, I really enjoyed it. I guess once you have been in this area you will understand about the reason behind why you just couldn’t get enough of this place. Well, I guess it’s time to end these posts. See you later on the next post! Great post!! It makes me miss Tokyo sooo much..
You’re very right there! That’s also the reason why I really want to live in Tokyo!